Just last night I was having a snack while watching Star Wars The Force Awakens and lamenting the fact that I don't have a coffee table. That got me thinking about what kind of table I would want, and I really had no clue. But thanks to builder lysanderchau I have a better idea. 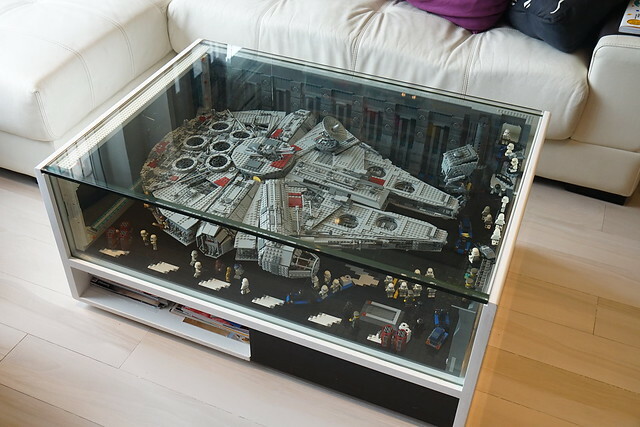 Check out this UCS Millennium Falcon coffee table! When faced with the difficult challenge of available space in small Hong Kong apartments lysanderchau solved the problem by building this combination display/table. 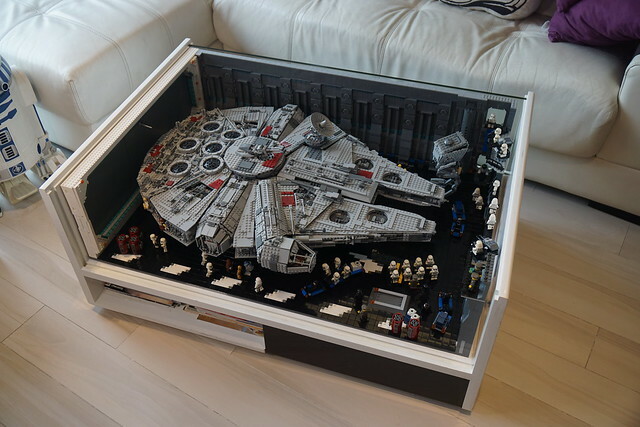 And sure, you could just put your Falcon in a glass box and have a place for your cheese and crackers, but he also decked it out to look like docking bay 327 on the Death Star!